If you’ve always imagined hardwood floors in your house, then our flooring team is here to make it happen. Our showroom is stocked with thousands of flooring options with all of the popular styles available in the store. It is always our goal to find the right style for every customer that walks through our doors. For many, hardwood flooring is the right option. Let Marshburn's Flooring America help you search our showroom until you find the right look for your space. Our job is to find you a floor from leading brands that fits your demands, price range, and style preferences. Schedule an appointment or come to our showroom for new hardwood floors in Humble, TX, today. Make us your first -- and only -- stop in your search for new flooring. Add to the unique look of your home by giving it an upgrade with hand-scraped hardwood. This option features the authentic imperfections you would have if the hardwood was made the old-fashioned way. The knots in wood, the natural grain patterns on the planks, and the color are all enhanced by the way hand-scraped hardwood is made into flooring for your home. When you want a touch of elegance that feels authentic, hand-scraped is the right hardwood option for you. Hardwood flooring does not have to look like traditional wood floors -- similar to what you would typically see in homes. Whether you want to pull deep red colors into your space or a light beachy feel into your oasis, the right edges and textures can make all of the difference. We sell both prefinished and unfinished flooring in planks that are a full range of widths. Purchase new floors from our store and follow through on your investment with home flooring installation. Our company employs a number of professionals that are qualified to install hardwood floors carefully and safely. We take precautions to make sure your space is always clean while we are adding your new floors. It is always our goal to make sure your floors are properly installed both quickly and efficiently. We are so confident in our services that we provide a standard-setting guarantee. Any installation-related issues with your floors will be handled at no cost to you for the lifetime of your hardwood flooring. Expect quality work from us, whether you first walk into our showroom to the installation of your final plank of hardwood flooring. Take the first step in getting new hardwood floors by scheduling a free in-home consultation with our experts. We come to your home or office and see the space for ourselves. Seeing the actual layout of your space and determining the right option for you is what our experts excel in. We consider several factors about your home including your décor preferences, the natural lighting of the space, and the color of your existing furniture. Make a purchase with confidence once you see our hardwood floor samples in your space. Even if you don’t know exactly what hardwood floors you’re looking for, our consultants can help. We know everything about the flooring we carry, including what types of style it suits and what works best for certain lifestyles. Simply speak with us about your design preferences and lifestyle needs, and we’ll help you narrow down the options. Let us become your partner in finding the perfect design for your floors, whether you want a bright maple or a dark mahogany. We’re confident we have the options you need to find the perfect floors. 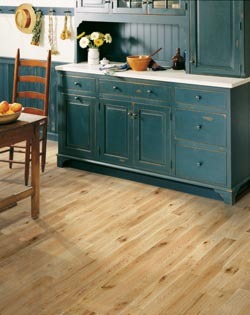 It is of the utmost importance to know that the home floors you are purchasing are of the highest quality possible. Flooring is a relatively large investment, and without the right material, it simply won’t last long enough to be worth it. You can count on us to source only the highest quality materials from the best suppliers in the industry. With us on your side, you’ll get consistently beautiful floors that will last for years to come. Reach out to us today to find out more about the hardwood flooring we provide and why it holds up to the test of time. Contact us today for more information about our floors. We are proud to serve Humble, TX, and the surrounding area.